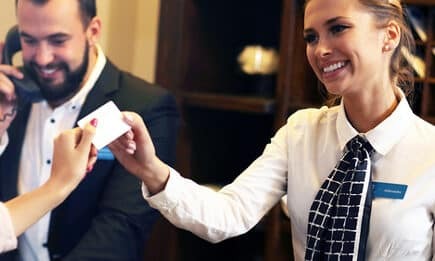 Ensuring the comfort and satisfaction of your customers is critical in building a positive reputation for your hotel or restaurant. One way to guarantee that you can always supply the service and power your business demands is to plan for emergency backup power. At Woodstock Power, we carry many different makes, models and sizes of diesel generators for hotels, restaurants and other commercial buildings. We can help you choose the right size and power for your generator as well as the switches and relays necessary for automatic switching to your backup power source. Hotels: We’ll need information on the number of rooms, typical equipment in each rooms (TVs, lights, fridges, heating), electrical equipment in common areas (lights, computers, alarms, elevators), high-consumption installations (heated pools, kitchens, saunas, gyms) and any other electrical equipment you count on to satisfy your customers. Restaurants: It’s important to list all of your high power-draw equipment. In most restaurants, this includes stoves, freezers, cold rooms, dishwashers, fridges and industrial cooking and food preparation appliances. You’ll also want to list all the other equipment that may need to be powered in case the primary power source drops out, including lights, heaters, POS equipment, etc. Once you’ve compiled this information, we can start to calculate just how much backup power you need. We have cultivated trusted relationships with a large number of experts around the country who can help calculate your exact power requirements. With a wide range of power generators available from many different brands, we never push you into a certain type of generator. We always strive to find the perfect backup power generator for your hotel or restaurant to ensure the power stays on at all times. If you don’t have a backup power solution in place or aren’t satisfied with your current installation, we invite you to contact our team here at Woodstock Power. Your customers deserve the best service and guarantee that their visit to your hotel or restaurant goes off without a hitch. 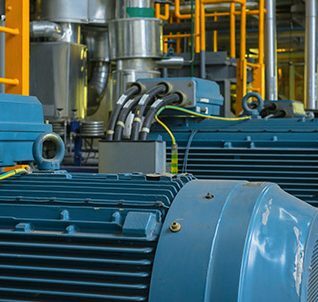 Even if your main power goes off, the right backup power generation system will keep the electricity flowing, and your customers won’t be the wiser. That’s what a reliable industrial backup power solution is all about, so equip your restaurant or hotel today and keep your positive reputation intact. Our inventory pages are organized for fast and easy browsing, so start by taking a look at all of the generators we have available. Save up to 70% over the price of a new generator with our high-quality, fully-inspected turnkey generators that are ready to ship in just a few days. Woodstock Power is a name you can trust. Discover all of our hotel and restaurant backup power solutions and obtain your free quote today.